After two years out of the winner’s circle — a period of time in which the southpaw considered retiring from the sport altogether — Bubba Watson surprised the golf world on Sunday evening when he won at Riviera for the third time in his career. 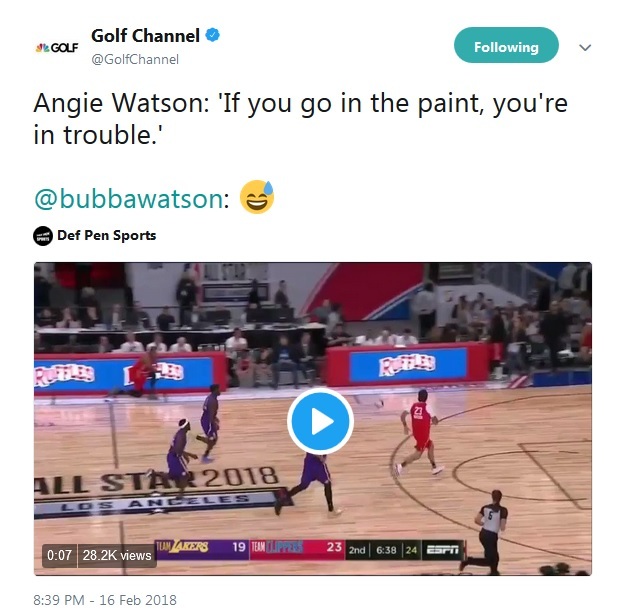 However, Watson surprised absolutely no one two evenings earlier when he looked like a fish out of water playing in the NBA’s Celebrity Game. 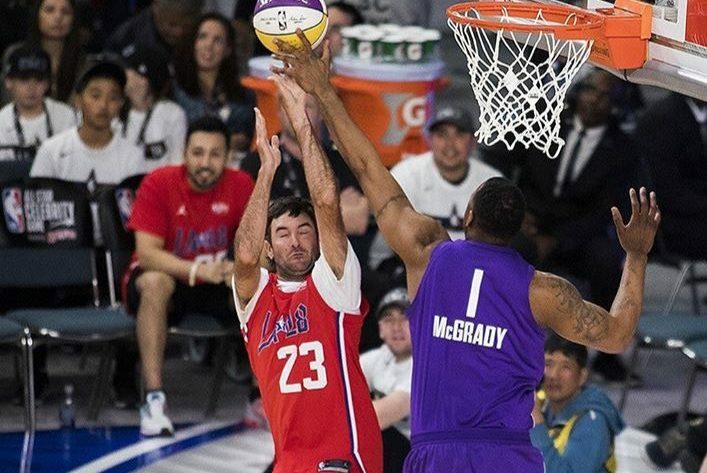 Over the course of 16 minutes on the hardwood, Watson scored only two points, air-balled from 10 feet, and got blocked by former Raptor Tracy McGrady. That swat happened during the second quarter of the game when the southpaw found himself alone with the basketball on the base line. But, instead of driving to the rack strong, Watson inexplicably froze for an entire second. And that was enough time for McGrady to step into the paint and redirect the two-time Masters champion’s shot into the fifth row. 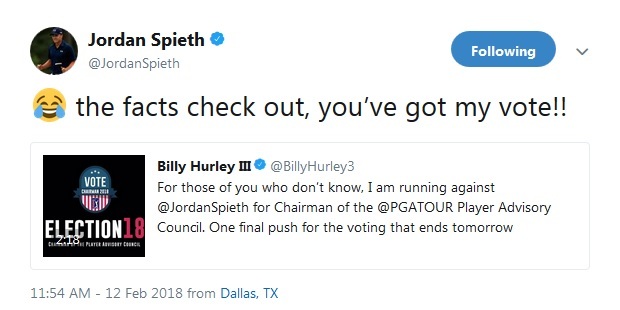 Jordan Spieth defeated Billy Hurley III last week in a race to become Chairman of the PGA Tour’s Advisory Council. It was an extremely close race — one that was, in all likelihood, made even closer as a result of this hilarious satirical attack ad against the Texan that Hurley III released the day before the election. When asked about the video later in the week, Hurley III insisted that he was just trying to make a funny video, and that he had no malice or ill will towards the Texan at all. “I had no intention of really swaying the votes,” the Virginian told Golf Digest. “We just figured we can make this really funny [video], and we obviously did.” Hurley III is only 35 and likely still has several more years ahead of him on the PGA Tour. 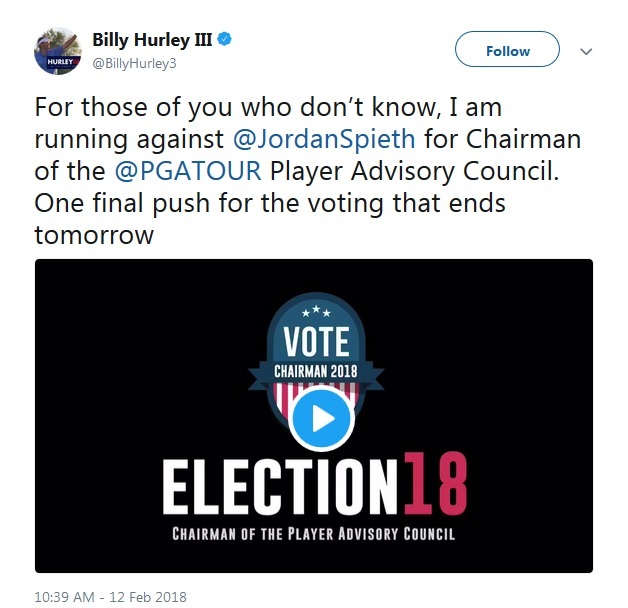 But if he decides to not pursue the Champions Tour after that, he might just want to consider a career in politics. Clearly, he’s got the savvy for it. When Bubba Watson is playing well, he is one of the most entertaining players to watch in the game. 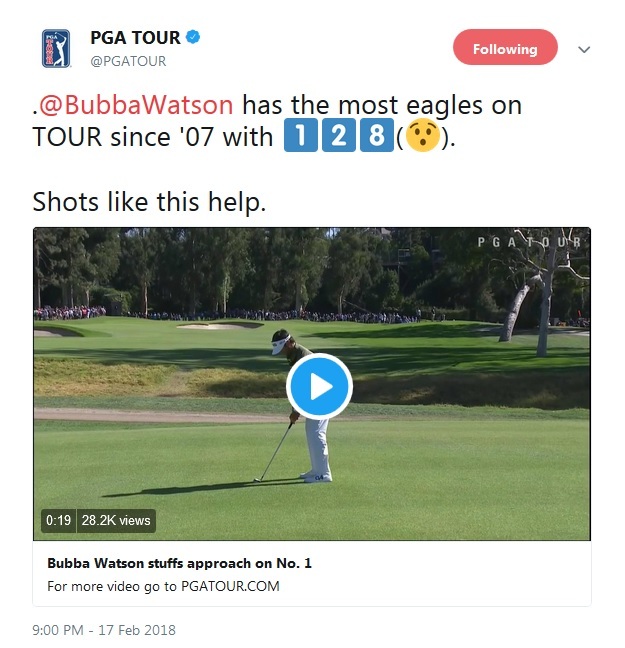 And he proved it on the first hole of his third round when he nearly jarred this swooping draw of an approach shot for an albatross! 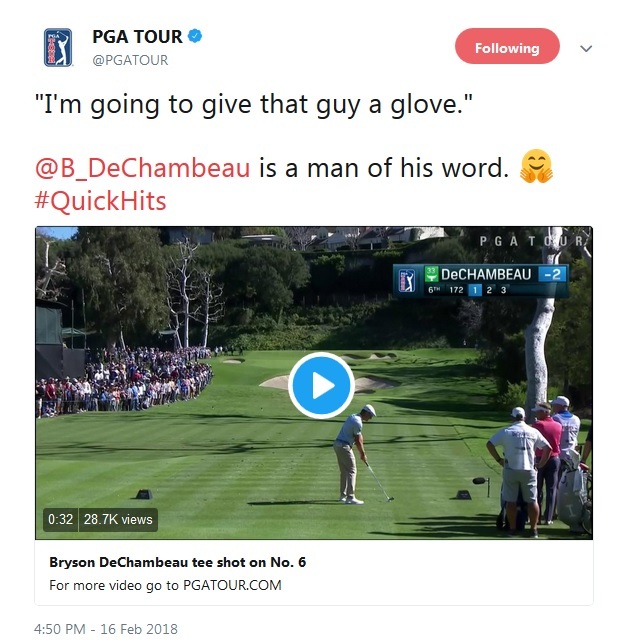 On Friday afternoon, Bryson DeChambeau overshot the green on the par-3 sixth hole by a considerable amount. But his ball struck a fan in the gallery and rebounded perfectly back onto the green, where it came to rest less than five feet from the hole.